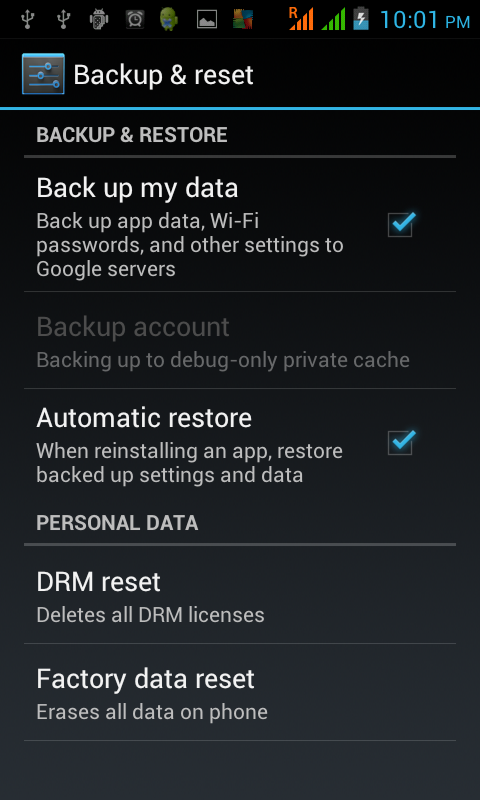 How to completely back up an Android device? But What is the fun in that? As a developer we need something more than an app that is developed by someone else and moreover who is charging us for that. Open command prompt here. 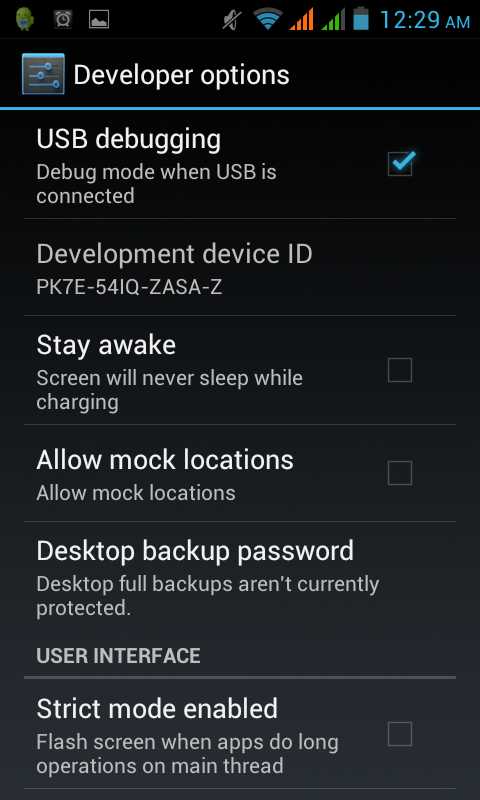 You can execute a lot of android related commands here. 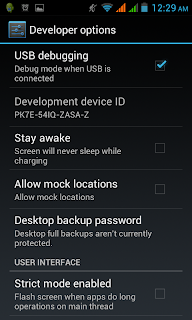 You can Start/Stop android server, you can see connected devices etc. 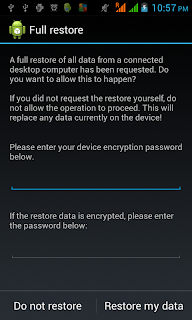 After these you are all set to backup your device. To make sure your device is connected you can go to the type the following command in the command prompt we had opened in platform-tools directory. You should see your device information listed. 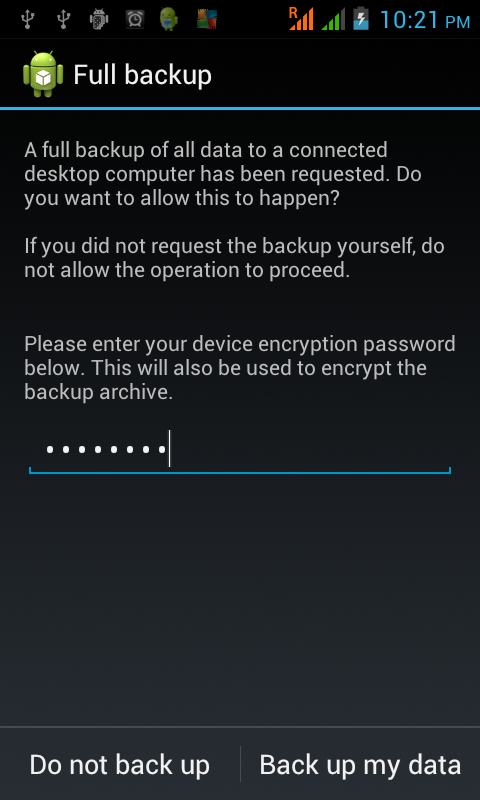 Now put your encryption password and select Backup data. Your back up will start soon. 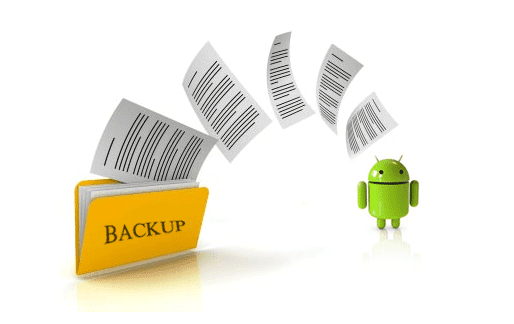 Have patience it will take time to backup as it does entire backup including your apps. 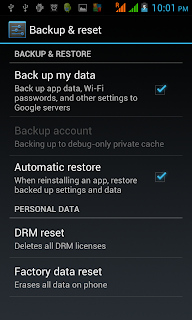 Even at time it may seem nothing is happening but data is being continuously backed up. You can verify that by looking at the file size of the backup on your machine. It will keep in increasing. Once it is done you can safely move that file to your cloud storage or your external storage drive. Again you will be provided a prompt to enter the decryption password. 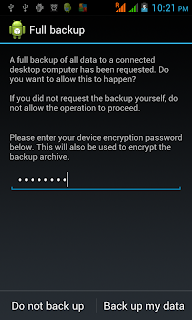 Here you must enter the same password you had entered while creating the backup. 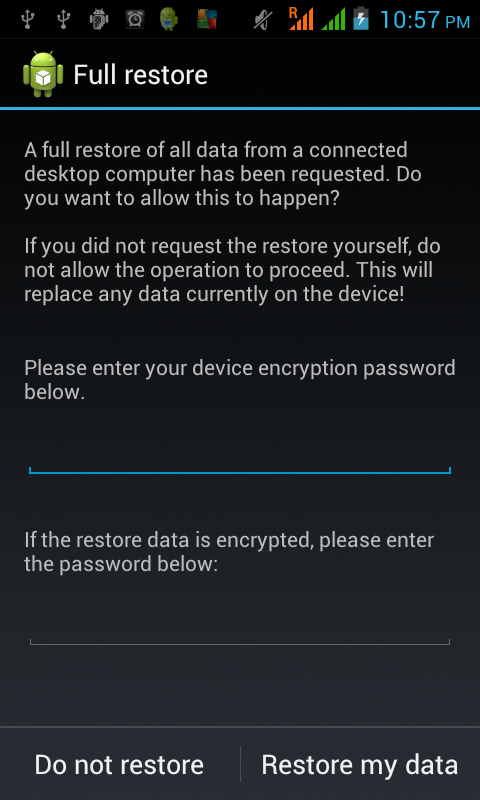 After entering the password click on Restore my data and your data will be restored.